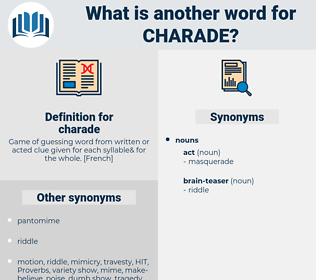 What is another word for charade? masquerade, farce, travesty, parody, mockery, sham, caricature, comedy, pretence, cover-up, joke, prank. 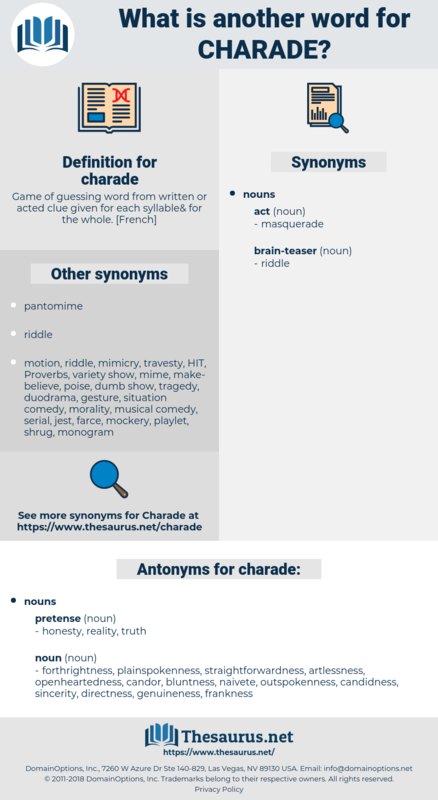 forthrightness, plainspokenness, straightforwardness, artlessness, openheartedness, candor, bluntness, naivete, outspokenness, candidness, sincerity, directness, genuineness, frankness. pretending, feigning, simulation, pretence, pretense.